"Multi-trauma may be defined as physical injuries occurring simultaneously in several parts of the body. The multi-trauma patient has usually sustained multiple traumatic injuries to the body, affecting different organs and body systems. The multi-trauma patient may have a head injury, multiple fractures, and injury to the internal organs of the chest or abdomen. The more body systems involved usually indicates more serious illness." 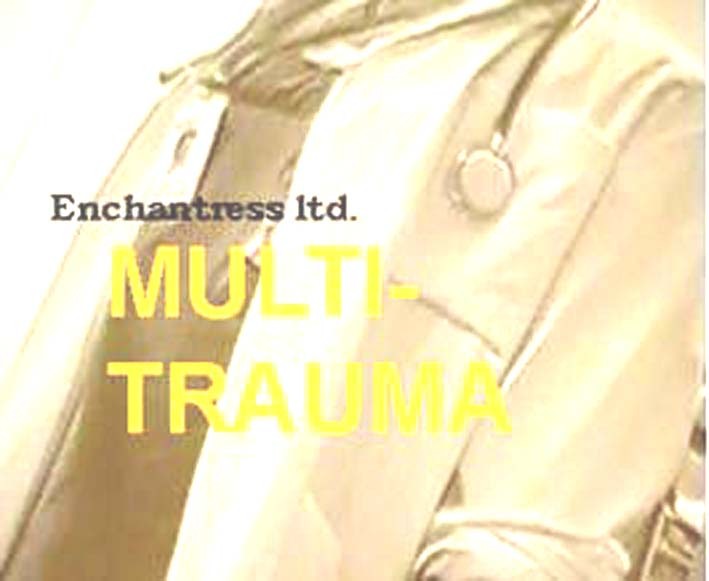 Multi-trauma is a film and an exhibition consisting of an installation with video-films, pictures and smells that try to make concious a condition of unconciousness. of a condition that can not conciously be sub-jectively experienced. The movie Multi-trauma was shown at Umeå international filmfestival 1999. "A young woman is hurt in a traffic-accident. Staff at the hospital and her parents talk to her although she can't hear them. Filmed at NUS, Umeå University hospital. Editing: MalinMatilda och Margus Peensaar. Sound: MalinMatilda och Margus Peensaar.